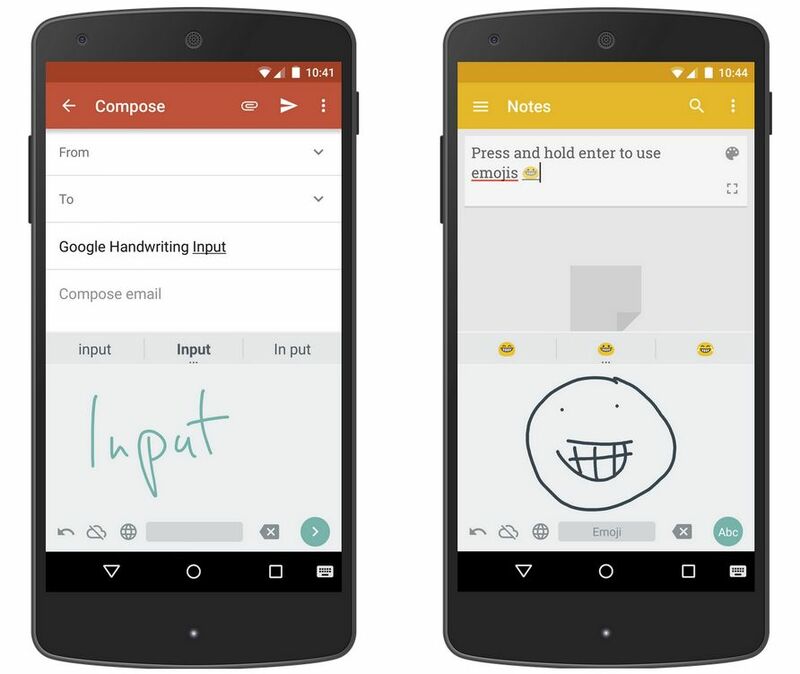 google released a application named Google handwriting input for android mobile devices and tablets. with the help of this input app you can write easily on your mobile device. handwriting input app by google supports 82 languages in 20 distinct scripts. to install this app on your andorid device you need android 4.0.3 or above. Download and Install handwriting input app by google – its available on google play store and you can download it for free. once it it installed you can use handwriting input by google on your mobile device. with the help of this app you can easily write malayalam on your mobile device. you can check settings of handwriting tool application cab be configure from – Settings -> Languages & input -> Handwriting Input Settings. from here you can check the settings of this application. how can i check more languages in the handwriting input application – Go to settings, check Input Languages. From here You can turn off Use system language and choose any languages. Supported indian languages in google handwriting input – Bengali,Gujarati, Hindi,Kannada, Malayalam, Marathi, Odia, Punjabi,Tamil, Telugu. these are the indian languages now available in this app. I am installed the app but not getting the same ?. from the setting page find languages and input change your default keyboard and set it as google handwriting input (desired language). you can choose your language from the settings. for example you have choose malayalam select the default keyboard as malayalam google handwriting input. once you starting the keyboard it will as for accept terms and conditions. you need to aspect it and system will download it. after completing the setup you can easily use the Google handwriting input for malayalam. can you please guide me to install google malayalam hand write input on my android mobile phone ?. HUAWEI P7 not supporting. Not showing the indian – malayalam language. My huwei honor 3c not supported malayalam Google input language.please advice. I am using this phone for than 3 month. Malayalam language if not reflecting in the list of Google handwriting languages list. My honor 4x mobile set is not supporting malayalam handwriting software. How can I get solved it? Huawei G8 also not showing Malayalam language for selection in Google Handwriting Tool. Many other Indian languages are also left out. I am not happy with huwai G8. Not supporting Indian language Malayalam in Google handwriting inputs. Also some sound issues. Huawei model no. SCL U31 phone is not showing Malayalam (Indian) language on google handwriting input. So please solution. I am not getting malayalam handwriting input, my huawei mate 8 mobile . Please send me a solution. Huawei p8 also not showing Malayalam language for selection in Google Handwriting Tool. Huawei p9 also not showing Malayalam language for selection in Google Handwriting Tool.